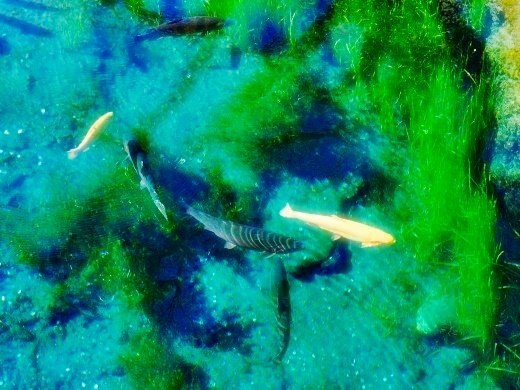 Oshino Hakkai is the name for eight springs in Oshino Village, Minamitsuru District, Yamanashi Prefecture. The word "hakkai" literally means "eight oceans". The water from these springs joins Katsura River from Lake Yamanaka (refer to #500). 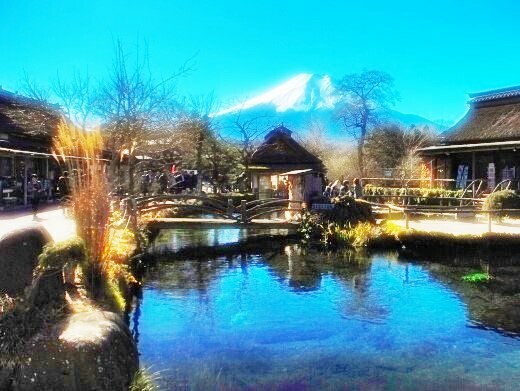 Also, it is a factor of a UNESCO World Heritage Site entitled "Fujisan, sacred place and source of artistic inspiration".